Clear, glass bottle, circular base. 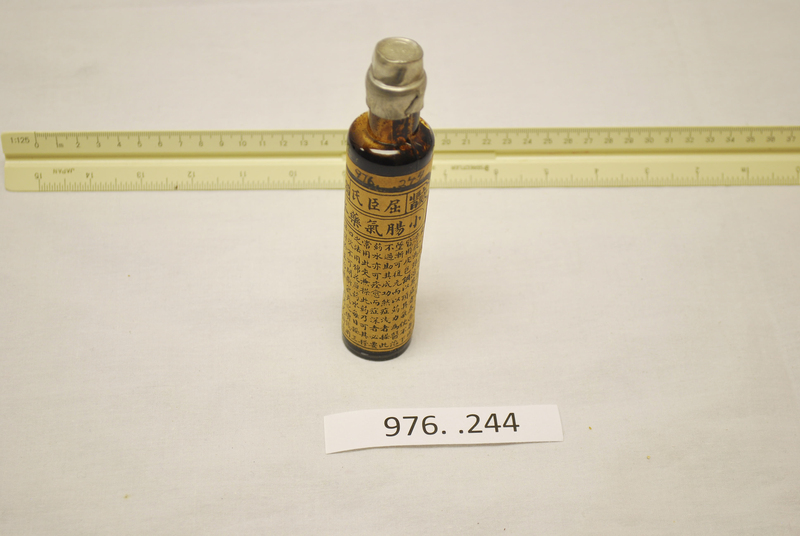 Still contains some of original contents which are dark brown, and a dark brown residue covers the inside of the bottle. Paper labels on outside with Chinese characters on them. Bottle has seam lines down sides and a cork secured by a lead-foil covering in mouth. Bottle leans to one side.